Andreas Rentz/GettySnowboarding Olympian Shaun White came under fire after dressing up as an intellectually disabled character for Halloween. White posted a photo of himself in the costume to his Instagram feed. White quickly apologised and removed the photo from his feed. The Special Olympics extended an olive branch to the 3-time Olympic gold medalist and 14-time X-Games gold medalist, but others were reluctant to forgive him. Snowboarder Shaun White has apologised after he attended a Halloween party dressed up as Simple Jack, an intellectually disabled character played by Ben Stiller in the 2008 movie “Tropic Thunder.” Throughout the film, Jack is routinely referred to using the R-word. For their part, the Special Olympics was quick to acknowledge White’s apology and extend an olive branch in the form of an invitation to X Games Aspen. The 32-year-old holds the record for the most X Games gold medals (14) in the history of the extreme sports event. Thank you @shaunwhite for listening to our community. You always have an invitation to shred with our athletes at #XGames Aspen! Many others were reluctant to forgive the 10-time ESPY Award winner. 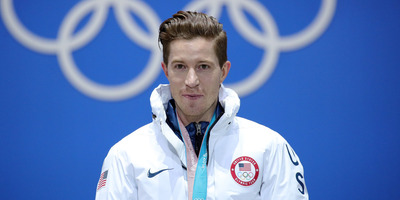 I think a large donation to @SpecialOlympics is in order for @shaunwhite . How horrible of him.